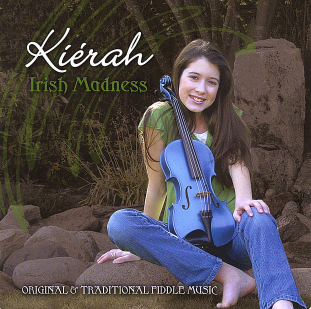 “Irish Madness” is a wonderful collection of 11 year old Kiérah’s original fiddle music along with some of her favorite Canadian and traditional Irish tunes. Accompanying Kiérah is award winning guitarist Andy Hillhouse of Mad Pudding and of The McDades. “Irish Madness” is a demonstration of high-energy tunes such as Mason’s Apron and Crazy M.A.C.K., balanced with the tenderness of A Mother’s Love.